Clay Mills is a large filter works serving a domestic population of around 100,000 in Burton-on-Trent, Staffordshire UK. 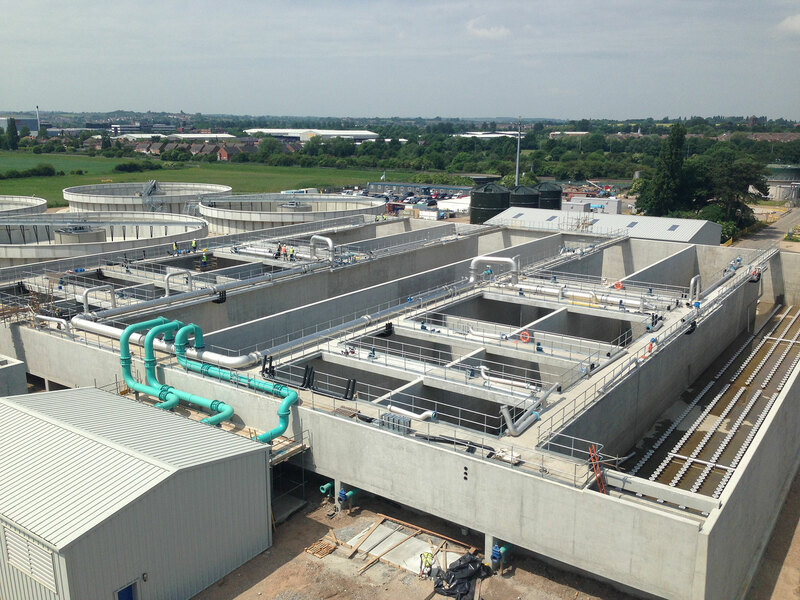 MWH Constructors was responsible for the design and construction of a new activated sludge plant at Clay Mills. The principal driver for the project scope was phosphorus removal, although sludge treatment was also improved. The project successfully recycled 100% of waste produced, as well as reducing their Co2 emissions by 25%. UK’s Environmental Agency regulations stipulate the removal of 80% of phosphorus from waste, in order to improve digestion, increase green energy generated from biogas, as well as to adhere to regulations. The plant upgrade also included a new sludge thickening works, an acid phase digester and CHP (Combined Heat and Power). Won three Silver awards at the National Considerate Constructors Scheme Awards. MWH Constructors was awarded the Gold Considerate Constructors Award in 2015. A more effective treatment process has been adopted to minimize the odor from the new Bio-P (phosphorous recovery) activated sludge plant. The team has closely cooperated with local farmers to install land drains and repair sludge pipes to prevent flooding. The project was further involved in modifying the Environmental Agency Flood Barrier and carrying out a high voltage power upgrade to the works, while working near a busy railway crossing and close to local residents, businesses and farmers. The team constantly worked to help local charities, the Parish Council and farmers, as well as provided school talks and assisted in the preservation of the Victorian Pumping Station. Such engagement with the community, as well as regular communication with residents, has ensured excellent community relations. The Clay Mills project, which was located on the River Trent flood plain, has been especially considerate towards wildlife in the surrounding environment, by relocating a badger sett and retaining a storage lagoon to provide a haven for wild birds and newts.